Get 5% off your first purchase! SPEND $50 FOR FREE SHIPPING! Cos De BAHA Pure Hyaluronic Acid Serum is indispensable for its line-smoothing, hydrating and Plumping properties, without a heavy feel. Hyaluronic acid is one the most powerful hydrating and moisturizing ingredients on the market today. It holds up to 1000 times its weight in water! We are the only on the market to be using a TRUE 1% (10,000ppm) Hyaluronic acid concentration, which is twice the amount of hyaluronic acid that is used in other formulas. Hyaluronic acid is known to increase skin cells’ ability to bind water, giving our skin a plumper and firmer appearance. Can be used day or night even be used around the eyes. A NEW! Bigger 60ml / 2.0 fl.oz version in stock! With a serum that is made from pure hyaluronic acid, you are getting the total, extreme effects that come from a pure product that works into the skin and the cells of the skin to replenish, moisturize and then repair the cells so that you have a much younger looking appearance. When the skin cells replenish themselves and grow back, they grow back as younger cells, giving the skin a younger appearance. Even if you have age spots, they will be drastically reduced when the pure hyaluronic acid serum is used on a regular basis. ✅ DEEPLY MOISTURIZES YOUR SKIN! Hyaluronic acid makes your skin smoother and softer by giving it plenty of hydration. You could look a few years younger in case you use it two times every afternoon for a few weeks! ✅ ANTI-AGING FORMULA FOR A YOUNG LOOK! The reason why baby pores and skin is so gentle is because it has so much hyaluronic acid. Cos De BAHA Pure Hyaluronic Acid Serum is a lightweight fragrance-free serum which is super-hydrating & anti-ageing. This Pure Hyaluronic Acid serum diminishes fine lines & wrinkles, provides superior hydration and delivers an instant skin-plumping and firming effect. ✅ NATURAL AND HEALTHY! Hyaluronic acid is a totally mild acid, which naturally exists in human skin. We have it in our pores and skin, hair, eyeballs and joints. Hyaluronic Acid (HA), also known as hyaluronan or hyaluronate, is a carbohydrate occurring naturally throughout the human body. With time, Hyaluronic Acid in your body decreases, leading to dry ageing skin and wrinkles among many other things. That is why it is so important to include hyaluronic acid in your skincare routine. 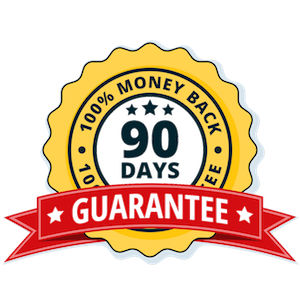 If for any reason you decide later that it’s not for you, just let us know within 90 days of purchase and we will refund 100% of your money back. For best results, first apply Cos De BAHA M.A. Peptide Facial Toner on face. Dispense 2 drops into the palm of your hand and then apply over cleansed toned face before applying other creams (in the morning or evening). Add 2 more drops if you will also be applying to your neck, and décolleté. During the day, finish with a moisturizer with SPF 30 or greater. Can be applied under the eye area, avoiding the eye itself. Please note that all serums can sometimes create irritations for people with very sensitive skin or uncommon allergies. Always test the product on a small area before using it, ideally behind an ear or under the chin. Allow 24 hours to measure skin sensitivity to the product. Wash the affected area thoroughly with soap and warm water for at least 20 minutes. Contact a doctor if necessary. Skin type: for all skin types. Country of Manufacture: South Korea. Package: Paper box, Reinforced bottle for professional use (with Pipette). Free from 7 harmful ingredients (paraben, tar colorant, animal-derived ingredients, mineral oil, talc, paraffin, polyacrylamide). For external use only. Do not use on damaged skin. Avoid direct contact with eyes. Storage: 15-27 C, avoid direct sunlight. Big bottle: 60ml / 2.0 fl oz NEW! Solep Inpure Scalp Shampoo 300ml Sulfates, Silicones, Parabens FREE! Our address: 2nd floor, Eulji-ro 38 gil 42, Jung-gu, Seoul. 04561 서울 중구 을지로38길 42, 2층. Organic Skin and Hair Care Copyright © 2019.